Combining smart, strategic thinking with bright-eyed creativity in a highly collaborative environment, producing powerful ideas and unexpected solutions that bring big results. 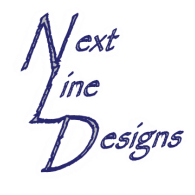 ​Next Line Designs is owned and operated by: NLD-OME Management, LLC. "From concept to collaboration, development to design."